On Asarah B'Tevet, the 10th day of the Jewish month of Tevet, in the year 3336 from Creation (425 BCE), the armies of the Babylonian emperor Nebuchadnezzar laid siege to Jerusalem. 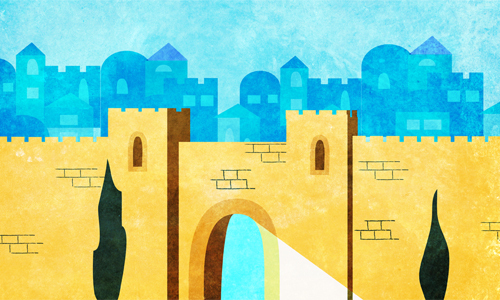 Thirty months later—on 9 Tammuz 3338—the city walls were breached, and on 9 Av of that year the Holy Temple was destroyed. The Jewish people were exiled to Babylonia for 70 years. The Asarah B'Tevet (this year, December 18, 2018) is observed as a day of fasting, mourning and repentance. We refrain from food and drink from daybreak to nightfall, and add selichot and other special supplements to our prayers. The fast ends at nightfall or as soon as you see three medium sized stars in the sky. What Is Asarah B'Tevet (Tevet 10)? How Can the 10th of Tevet Interfere with Shabbat? When I Am Besieged With Insecurity . . .